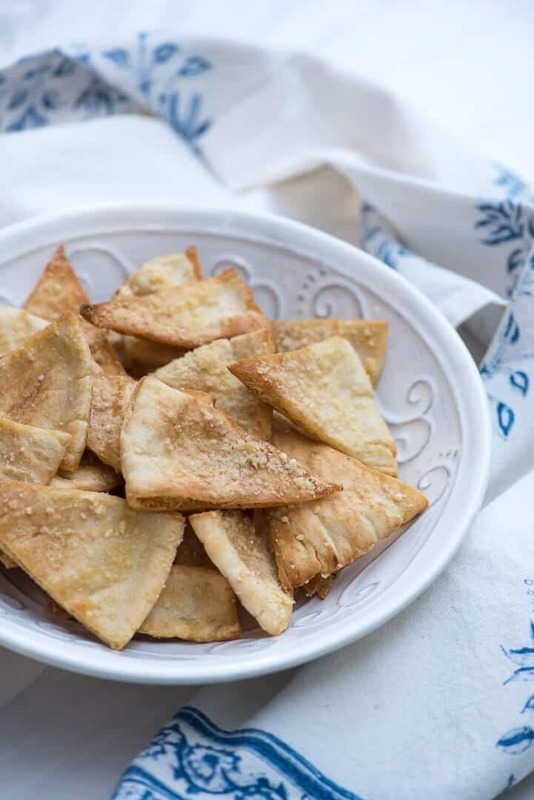 These homemade Parmesan Garlic Pita Chips are delicious served warm from the oven with hummus or a variety of other party dips. So much better than the store bought variety! Isn’t it weird how we go through food phases? Is it just me? I have a tendency to just out of the blue to start craving random things for several weeks in a row and then eventually I get over it and move on. 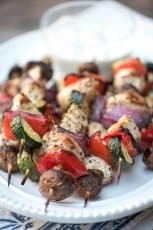 I’m currently in the midst of an intense craving for all things Mediterranean. 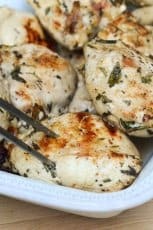 Give me a plate of Grilled Greek Chicken Kabobs with Creamy Feta Dill Sauce, some of these Parmesan and Garlic Pita Chips and a side of hummus and I’m a happy girl. 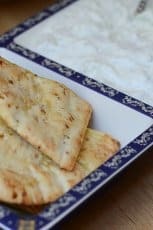 To help quell my intense cravings, I decided to try a variation on my Toasted Pitas I did way back when this blog was just a baby. I always have a big block of good quality Parmigiano-Reggiano from Costco in my fridge and this was an excellent use for it. I cut off about 2 ounces of the cheese and used my food processor to grind it down into a granular consistency and then mixed it with a little granulated garlic and some sea salt. 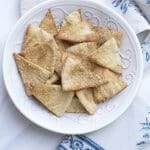 After brushing pita rounds with olive oil, I sprinkled them with a bit of this mixture, sliced each pita into triangles and baked them until golden brown and crispy. I really like the texture that resulted by using my food processor to grind the cheese instead of grating it. 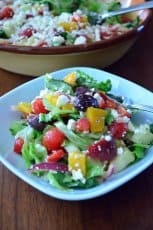 It was such an awesome technique for this recipe. I saw Ina Garten do something similar with a coating for chicken and had to try it here. That Ina… don’t you just love her? 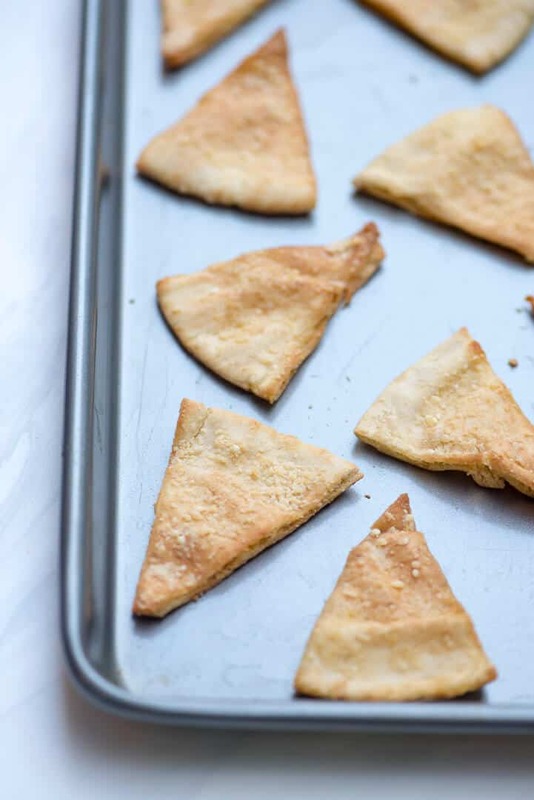 You can bake them a little longer for super crispy chips but I like to pull them out of the oven when they are still have a slight chewy bite to them and serve them warm. They will crisp even further as they cool and stay well for days if stored in a zippered plastic storage bag. Place the chunk of Parmigiano Reggiano in your food processer and process for 2 to 3 minutes until it is a fine, granulated consistency. Add granulated garlic and salt and process briefly to combine. Lightly brush both sides of pita rounds with olive oil. Sprinkle one side with the Parmesan garlic seasoning mixture. Use a pizza cutter or sharp knife to cut each round into 8 wedges. Place wedges on an ungreased, rimmed baking sheet and bake for 6 to 7 minutes, until golden brown. Remove from oven and allow to cool on baking sheet for about 5 minutes. 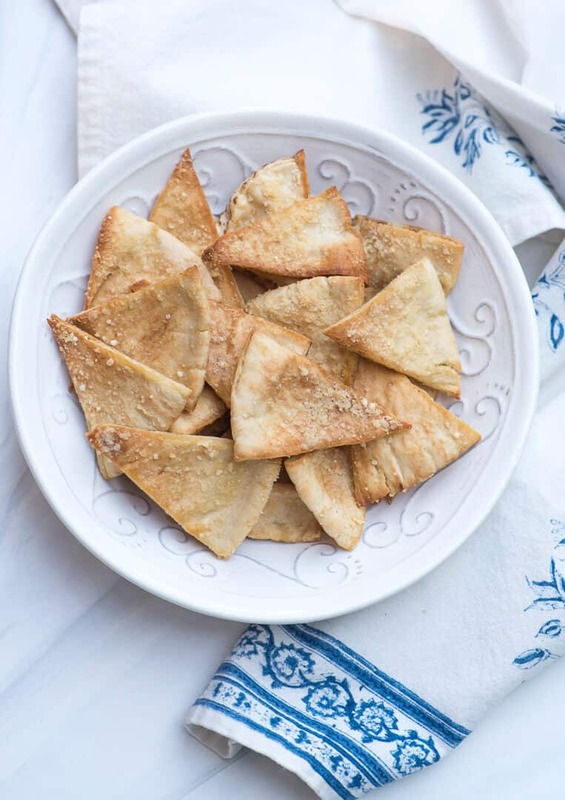 Pita Chips will continue to crisp slightly after removed from the oven. Serve while still slightly warm. When completely cooled pita chips can be stored in an airtight container or zippered plastic storage bag.